Hello! I’m Bernie Solymar, and I kindly invite you to join our Cuba nature tours, an odyssey of the country's culture, agriculture, ecology and beautiful nature. We'll explore the historic cities of Havana and Trinidad, visit UNESCO World Heritage Sites and Biosphere Reserves, tour organopónicos and visit with Cuban farmers, explore forests, caves and mountains, swim in mountain rivers, meet and talk with numerous Cuban experts in the fields of permaculture and conservation, partake in traditional local food dishes, enjoy some Cuban music, rum, and camaraderie, and much, much more. Do not hesitate to contact me if you have questions! Be in the know and sign up for email updates from Authentic Cuba Travel. Our Newsletters are full of information on Cuba nature, bird watching and eco tours, summarized in a quick-read format. 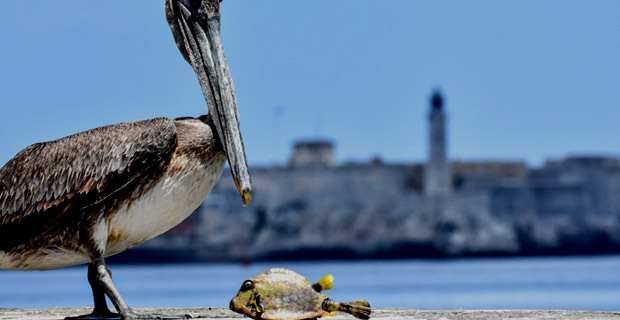 Last minute discounts on Cuba nature, bird watching and eco tours, contests and featured discovery and adventure nature tours to Cuba, all to keep you up to date with the natural world of Authentic	Cuba Travel. Sign up to win a free Cuba nature & bird watching tour! Cuba Nature Tours & Travel for Wildlife Conservation Professionals and Environmental Professionals and Nature Enthusiasts! Travel to Peninsula de Zapata, Soroa, La Guira, Trinidad and Habana for $2,699! Working under the auspices of Cuba’s foremost environmentalist and nature conservation organizations, Authentic Cuba Travel gains access to the most pristine natural Cuban sites of this tropical paradise, from UNESCO Biosphere Reserves and National Parks to Protected Areas, and offers an unparalleled opportunity for North American nature lovers, bird watchers, naturalist, biologists, environmentalists and nature conservationist to witness the great biodiversity of the largest and most unspoiled island in the Greater Antilles. This Authentic Cuba Travel nature and bird watching eco tour gives the opportunity to exchange with Cuban world knowned ornithologists, birders, scientists and naturalists and to visit important research centers for the preservation of wildlife and exchange with Cuba’s most prestigious nature conservationist groups. Add to your bird watching life-list 21 endemic Cuban bird species! Cuba’s diverse wildlife stems from its unique natural history. Cuba was not originally in the Caribbean Sea but in the Pacific Ocean, where the island was situated 100 million years ago, before the forces of continental drift slowly brought it into the Caribbean. As the island migrated over the ages, an astonishing variety of life arrived by air, sea, and possibly by land bridges that may have once existed. Over time, these animals adapted to their new environment. Cuba is home to some of the most unusual creatures on earth, including the feisty Cuban crocodile, the world’s smallest bird and frog, and migrating land crabs. This Cuba nature and eco tour is also a brilliant way of seeing the real Cuba; such a passionate and patriotic people have transformed this country into a very environmentally friendly place (Cuba is one of the few self sustainable countries in the world); partly because of the trade embargo, meaning that nearly everything the Cuban population uses is made and produced in Cuba and as a result is sustainable. Please, check the day-by-day itinerary below. Welcome Aboard! 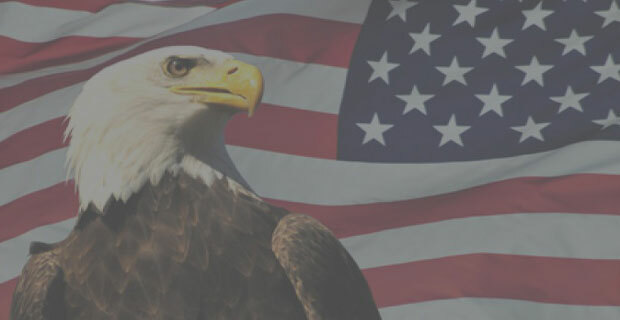 US Wildlife Environmental and Conservation Organizations, US Bird Conservancy Organizations, and other Environmental Organizations from USA can organize and sponsor a trip to Cuba for educational exchanges not involving academic study to promote people to people contact for their members and the general public. 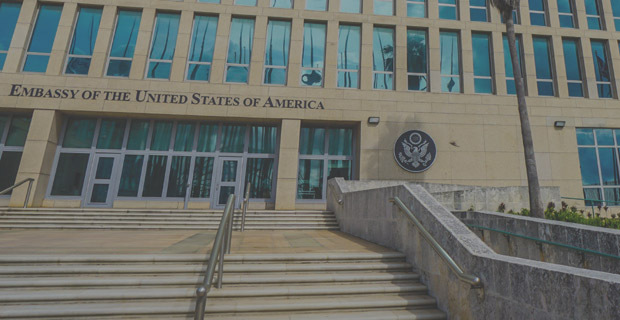 Certain conditions are to be met to comply with OFAC General License requirements for USA Cuba travel though. Travel to Topes de Collantes National Park. Travel to UNESCO World Heritage Site, the Sugar Mill Valley. Travel to UNESCO Biosphere Reserve, Peninsula de Zapata. UNESCO World Cultural Landscape Heritage Site, Vinales Valley. 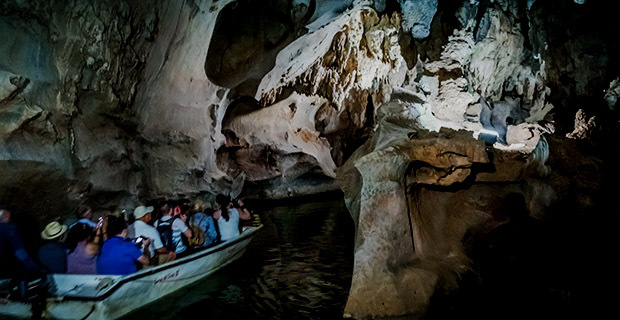 Explore the Indian Cave in Vinales Valley. Day Excursion to Cayo Levisa. Bird Wacthing in La Guira National Park. Soroa’s Orchid Garden, created by Cuban naturalist Camacho. Relax by Soroa Waterfall or go bird watching! Visit to WildLife Breeding Centre in Zapata swamps. Visit to Guama Crocodile Breeding Farm. 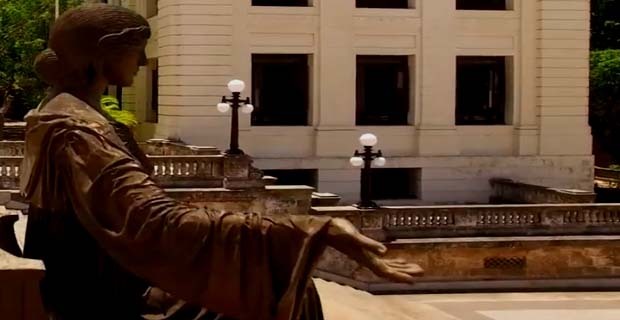 Guided tour of UNESCO Heritage Site, Havana Historical Centre. Guided tour of UNESCO World Heritage Site, Trinidad. US Ornithologists, US Wildlife Biologists, US Forestry Professionals, US Ornithology Curators, US Zoology Educators; and other Environmental Science Professionals from USA interested in conducting professional research on Cuba's Wildlife Conservation and Environmental Issues can travel to Cuba under the provisions of the General License for Professional Research. Non Environmental Science professionals from USA interested in visiting Cuba to learn more about Cuba's Visual Art Industry can travel to Cuba under the provisions of the General License for People-to-people Educational Group Travel issued by US organizations. UBPC Organic Garden in Alamar, 15 miles east of old Havana. One of the most successful urban organic farms in Cuba selling ornamental plants, medicinal plants, and millions of vegetable transplants to surrounding residents and farmers. Provides training and fresh food for the area. This is a must see for anyone interested in Cuba’s Urban Agriculture, and Food Security. Topes de Collantes National Park in the Escambray mountains in Central Cuba. A perfect place for encountering the Cuban Emerald (Chlorostilbon ricordii), Broad-winged Hawk (Buteo platypterus), Cuban Parrot (Amazono leucocephala), Fernandina’s Flicker (Colaptes fernandinae) and others. Peninsula de Zapata Biosphere Reserve contains the largest wetlands in the Caribbean with blue-water beaches, forests, rivers, lakes, flooded caverns. Natural habitat to the Cuban crocodile, the jutia and 175 bird species. Cuba's nature displays the smallest of a number of animals, such as the tiny frog Monte Iberia Dwarf Eleuth (Eleutherodactylus iberia) only 0.3 inches long and exclusively found in some mountainous regions of eastern Cuba; the butterfly bat (Natalus lepidus), which is only 7 inches from wingtips and weighs just a couple of grams; and the endangered zunzuncito or bee humming bird (Mellisuga helenae) roughly 3 inches long. There is also a dwarf scorpion (Microtityus fundorai) between 0.3 and 0.7 inches long among males. Soroa’s Orchid Garden, created by Cuban naturalist and lawyer Tomás Felipe Camacho, features a collection of 250 orchids endemic to the island, and over 700 from around the world, along with numerous species of exotic plants that thrive here thanks to the local climate. Today, there is also an Orchid Research Center belonging to the University of Pinar del Río. La Guira, natural habitat to bird species such as the Cuban Solitaire (Myadestes elisabeth), Cuban Bullfinch (Melopyrrha nigra), Great Lizard Cuco (Saurothera merlini), Cuban Toddy (T. multicolour), Olive-capped warbler (Endroica pityophila), Green woodpecker (Picus viridis), Gundlachs hawk (Accipiter gundlachi) and others. Exploration of Vinales Valley, containing the most spectacular scenery in Cuba and some of the most interesting and varied geological formations on the island. The valley is particularly famous for its great freestanding rock formations called mogotes. Day 1. Saturday 11 April 2020. Meet your Cuban tour guide and bus driver. Private transfer to your hotel Habana Libre located at Vedado District the cultural center of Havana City. Cuba is renowned for its exceptional biodiversity. Its ecosystems are among the richest and best preserved in the Caribbean. Cuba boasts more than 84 protected areas, making up almost 14% of the lands and 16% of the shelf, along with 6 UNESCO Biosphere Reserves. Its flora is abundant and varied; it is estimated that the 110,992-square-kilometre archipelago contains almost 4% of all the world’s plant life. There are around 100 different palm trees in Cuba, of which 90 are endemic. The palma real or royal palm (Reistonea regia) reaching up to 40 meters tall is Cuba’s national tree. Other trees found in the island include oaks, cedars, flam- boyant trees, and the jaguey, a huge fig tree with aerial roots. The orchid family includes some 300 endemic species. There is one tiny orchid, Pleurothallis shaferi, which is only 1 cm, with leaves measuring 5 mm and flowers of only 2 mm. The mariposa or butterfly flower (Hedychium coronarium), a type of jasmine, is considered the national flower. Day 2. Sunday 12 April 2020. Morning: visit at this time the UBPC Organic Garden in Alamar, 15 miles east of old Havana. One of the most successful urban organic farms in Cuba selling ornamental plants, medicinal plants, and millions of vegetable transplants to surrounding residents and farmers. Provides training and fresh food for the area. This is a must see for anyone interested in Cuba’s Urban Agriculture, and Food Security. Followed by guided walking tour of Old Havana, UNESCO World Heritage Site. Visit to San Francisco Square, one of the oldest in the historical quarter. Visit to Plaza Vieja, the only civic square of colonial times. Notice it doesn't have a church or government building around. Here we will visit important institution for visual arts. Palacio del Segundo Cabo, the seat of the second authority of the island. Day 3. Monday 13 April 2020. Morning departure to Trinidad, in Central Cuba. Over arrival at Trinidad, late lunch at El Jigue restaurant. Afternoon: guided walking tour of UNESCO World Heritage Site, Trinidad’s Historical Center, a perfect relic of the early days of the Spanish colony with beautifully preserved streets and buildings with hardly a trace of the 20th century anywhere. Check in at all-inclusive Trinidad del Mar beach resort. You'll have time for dinner and a swim in the warm waters of the Caribbean Sea. Day 4. Tuesday 14 April 2020. Morning: we will board former Russian army trucks for Topes de Collantes in the Escambray Mountain Range, Cuba's second highest mountain range- reaching 3,700 feet atop Pico San Juan. The mountains are home to small mountain villages and are a delight for birders and walkers alike. Slopes are swathed in Caribbean pines, ancient tree ferns, bamboo, and eucalyptus. Arrival at Hacienda Codina, an old Spanish Hacienda, once part of a large Spanish coffee plantation where we will have a typical lunch. Followed by a walk around this area to admire the beauty of the surrounding landscape. Day 5. Wednesday 15 April 2020. Morning: early departure to Peninsula de Zapata National Park, declared UNESCO Biosphere Reserve and Ramsar Site, located in the southern coast of the island. It covers an area of 5000 square kilometres of woods and seacoast vegetation, marsh and mangroves. The park is the natural home to over 160 bird species and 900 varieties of higher plant families. It is also a favourite stop for tens of thousands of migratory birds! This is the habitat of endemic bird species such as the Zapata Rail (Cyanolimnas cerverai), the Zapata Wren (Ferminia cerverai) and Zapata Sparrow (Torreornis inexpectata). The swamp is also the natural habitat of the Cuban Crocodile (Crocodrylus rhombifer Cuvier), considered as a national symbol after its resemblance with the geography of the island. Visit to Guama Crocodile Breeding Farm, that has successfully bred one of the largest reptiles of Cuba since 1974. The Cuban Crocodile (Crocodrylus rhombifer Cuvier) is considered an endangered species that can be found at the Zapata Swamps and Lanier Swamps only. The Cuban Crocodile (Crocodrylus rhombifer Cuvier) is one of the two most aggressive species of crocodiles in the world and endemic to Cuba. Visit to La Boca and Guama Ceramic Workshop. Lunch at restaurant by La Cueva de los Peces Cenote, a geological formation that is formed when the roof of an underground river collapse leaving a pool of salt water connected to the sea by a system of immersed tunnels. In the cenotes of La Cueva de los Peces live a wide variety of flora and fauna characteristic only of this region. Afternoon: visit to Wild Life Breeding Centre (Estacion de Reproduccion de Fauna Silvestre) where the endangered jutia (Capromys) and other mammals are bred. Visit to Manjuari Breeding Farm (Estación de Reproducción de Ictofauna), that breeds the endemic alligator gar fish (manjuari)(Atractosteus tristoechus), considered a living fossil. Check in at Villa Playa Larga. Time for a swim at the warm waters of the Caribbean! Day 6. Thursday 16 April 2020. Morning: early departure to Soroa, a site of breathtaking natural beauty, with a 22-meter waterfall that invites visitors to take a refreshing swim any time of the year. Late lunch at Soroa Waterfall over arrival. Followed by free time to visit the Waterfalls. Check in at Villa Soroa Hotel. The Villa Soroa offers horse riding tours and bird watching and natural trails under the guidance of local guides (optional). Cuban Trogon (Priotelus temnurus), the national bird of Cuba, Red-legged Honey-creeper (Cyanerpes cyaneus), Gundlachs hawk (Accipiter gundlachi) and others. Afternoon: guided visit to Soroa’s Orchid Garden, created by Cuban naturalist and lawyer Tomás Felipe Camacho. The Garden features a collection of 250 orchids endemic of the Island, and over 700 from around the world, along with numerous species of exotic plants that thrive here thanks to the local climate. Today, there is also an Orchid Research Center belonging to the University of Pinar del Río. Day 7. Friday 17 April 2020. Early departure for La Guira National Park. Once a huge privately owned state, this area is preserved now as a national park that protects over 21,850 hectares and offers picturesque valleys and hidden caves. Bird watching session in La Guira National Park. We’ll be looking for the Cuban Solitaire (Myadestes elisabeth), Cuban Bullfinch (Melopyrrha nigra), Great Lizard Cuco (Saurothera merlini), Cuban Toddy (T. multicolour), Olive-capped warbler (Endroica pityophila), Green woodpecker (Picus viridis), Gundlachs hawk (Accipiter gundlachi) and others. Continue on bus ride to UNESCO World Cultural Landscape Heritage Site, Vinales Valley. Check in at Hotel Los Jazmines. Day 8. Saturday 18 April 2020. Early morning departure to Palma Rubia Pier for boat ride to Cayo Levisa. Enjoy the day on the key with snorkeling and Catamaran activities. Seafood Lunch (included). Late afternoon return to Los Jasmines Hotel. Day 9. Sunday 19 April 2020. Explore Viñales town at your leisure: its open-air craft market, Parque Marti, town church, and other interesting sites of this charming colonial hamlet. Visit the Viñales Botanical Garden, full of fruits, orchids and medicinal plants. Day 10. Monday 20 April 2020. Travel to Topes de Collantes. A must-explore in any nature and eco Cuba tour. Slopes are swathed in Caribbean pines, ancient tree-ferns, bamboo, and eucalyptus. 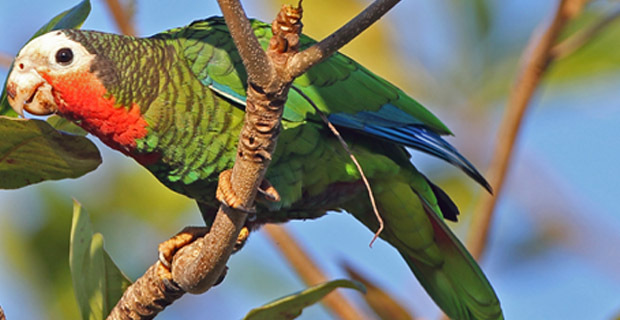 Bird watching lovers, watch out for the Cuban parrot. Tour of Zapata Park, natural habitat to over 160 bird species, 900 plant species and a stop for thousands of migratory birds! The swamp is also the natural home to the Cuban Crocodile. 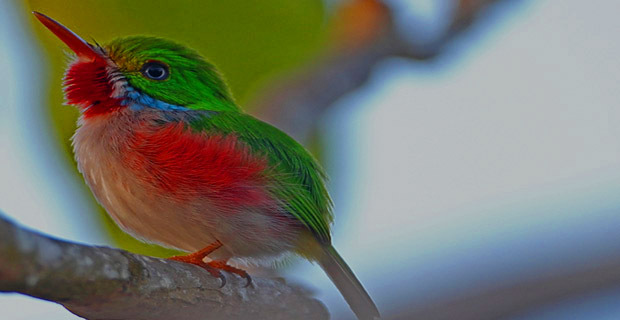 A paradise for bird watching, nature and eco Cuba tour lovers! Tour Viñales Valley, famous for its great free standing rock formations called mogotes. Nature, eco tourism and bird watching are among the main draws of the region. Tour a Farm for the Breeding of Cuban Crocodile, an endangered species that can be found at the Zapata and Lanier Swamps only. Tour of the Manjuari (alligator gar fish) Breeding Farm. Opportunity for eco tour and nature enthusiasts to talk to Cuban naturalist. Travel to Soroa, a site of breathtaking natural beauty, with a 22-meter waterfall. A must-see for bird watching, nature and eco tour lovers alike! Tour of the Wildlife Breeding Centre where the endangered jutia (Capromys) and other mammals are bred. Travel to Cenote La Cueva de los Peces, natural habitat of a wide variety of native flora and fauna. Tour the Orchid Garden of Soroa, featuring a collec-tion of 250 orchids endemic of Cuba, and over 700 from around the world. Meet with nature conservation specialist at the Orchid Research Center.